Cloud vs. Dedicated Server Cost: Which Is The Better Deal? If you’re trying to decide between cloud vs. dedicated server as the right solution for your business workloads, the price is an important factor which can shape your final decision. From the perspective of pure operating expenses, the price tag each month on a cloud service is likely to be lower for many use cases. However, the cloud is not the right fit for every workload, and neither are dedicated servers. Evaluating cloud vs. dedicated servers solely on monthly costs paid alone is a mistake. There are other factors which should shape your decision. There are both hard and soft costs which can impact total cost of ownership (TCO) and overall client experience. When deciding whether cloud or dedicated server resources are the best match for your organization, it’s important to consider factors such as timelines, compliance requirements, the consistency of your workload demand, internal staff talent, and more. Read on for insider analysis of the factors that can really impact the cost of data hosting options, and how to tell which is best for you. To learn the difference, we recommend Virtual Servers vs. Physical Servers: Which is Best? How fast do you need the server? Cloud resources are best know for their on-demand capabilities. If you need to provision a server within minutes, virtual resources are likely to be your best bet–if you have expert cloud staff in-house. While a leading data services vendor can provide expedient service to help you meet a fast turn-around for dedicated server setup, there’s almost always a longer timeline associated with this option. Your industry, data, workload, or compliance needs may dictate the adoption of a dedicated server instead of shared cloud resources. Depending on your organization’s regulatory requirements, the costs associated with non-compliance can be immense. As one example of regulatory risk, the General Data Protection Act took effect in late May 2018. GDPR-impacted organizations found in non-compliance may be subject to penalties “up to €20 million, or 4% of the worldwide annual revenue of the prior financial year”–whichever is higher. What are your configuration, management, and support needs? Workloads which require constant fine-tuning for continual scaling, provisioning and frequent management may be better served by cloud resources. In contrast, workloads which are more stable are overall better fits for dedicated servers. However, these two factors are not absolutes and largely depend on the workload, the expertise of your organization’s information technology and cloud staff, and the responsiveness of your data vendor. With dedicated servers, organizations are reliant on the vendor support to perform management and provisioning updates. With a highly-responsive vendor, these updates can be immediate. If your organization lacks skilled cloud staff in-house, outsourcing your data can provide superior performance, security and cost optimization to using cloud resources. With the wrong vendor, you may find your organization waiting at-length for necessary updates to server configurations. The key here is carefully vetting prospective business partnerships to ensure you select a data provider who meets your needs and expectations. Are you running high input/output workloads, such as massive databases? For certain types of workloads, such as the high input/output (I/O) workloads associated with large databases, a dedicated server may be the cheaper option. In-depth calculations published on Rackspace demonstrate that heavy utilization costs with a popular cloud host can exceed the costs of dedicated servers over time. If your organization’s workload is consistently or frequently high-demand, as opposed to occasionally high-demand, it may be cheaper to maintain dedicated servers instead of using cloud resources. Around 2010, computer science researchers proposed that the majority of business workloads are candidates for virtualization, or being moved to shared cloud resources because they generally use “fractions of a CPU or a few gigabytes of RAM.” For the times when workloads hit a peak, virtualized environments enable these organizations to quickly scale up resources as-needed. For organizations with consistently high demand, dedicated server capacity is likely the more cost-effective option. Do you anticipate specific upgrades? An additional factor to consider beyond pure cost is the quality of service, and its potential impact on customer satisfaction, availability, business reputation, and related factors. Downtime can have a devastating impact on business productivity and client churn. If your workload has particular demands on a server, your needs may be best matched with a dedicated server which can be upgraded and configured to meet the needs of high-demand workloads, such as high-volume video streaming or high-traffic websites. While these upgrades are rarely cheap, you can maintain control and quality by performing upgrades such as increased memory, added network cards, or the addition of non-volatile memory disks. Does your organization need CapEx vs. OpEx pricing? Cloud servers are billed at a monthly rate, which is largely predictable. This pricing structure is known as an operational expenditure, or OpEx model. Dedicated servers have a significant upfront cost, which is followed by lower monthly costs of maintenance and service. These fit into the category of capital expenditures, or CapEx. While the benefits of CapEx vs. OpEx are rarely enough to sway an organization one direction when selecting between cloud vs. dedicated servers, it's one factor to consider. Organizations may prefer to spread expenses out over time as opposed to initial investments with the OpEx model of the cloud, or use the depreciation write-offs associated with a dedicated server. Obviously, if you're in startup mode, an OpEx model may work best as you are preserving capital for other aspects of your business. Can you manage the talent-related costs of cloud vs. dedicated servers? Regardless of whether your organization selects a cloud or dedicated server, you’ll need to create a plan for migration, provisioning, testing, and ongoing maintenance. This will include some reliance on a third-party vendor, to a greater or lesser extent depending on how much virtualization or data talent your organization has in-house. Your ability to optimize by cost here depends on existing talent and vendor relationships. With either path–cloud or dedicated servers–the wrong vendor partnership can lead to talent and time-related nightmares. Data and cloud talent is short, and hiring expert staff could prove extremely challenging. If your new vendor’s support isn’t as-promised, you may struggle to adjust your workloads to meet needs. In contrast, fully-outsourcing your workloads to a dedicated server with a trusted local vendor with an excellent customer service record could ease internal talent woes during a tech talent shortage. The key is being realistic about your internal talent competencies and smart vendor selection processes. Is Cloud vs. Dedicated Server the Best Deal? 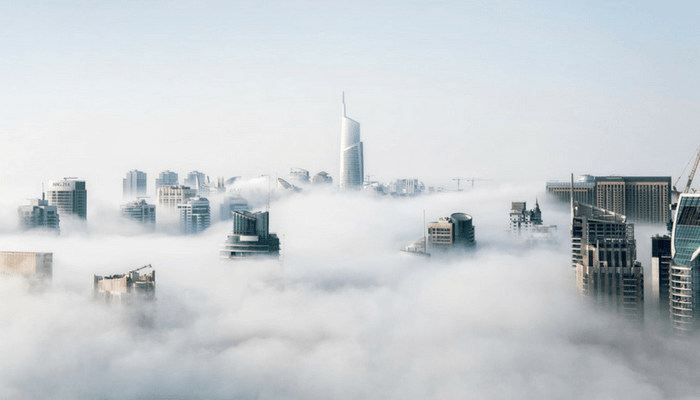 For many businesses, the right answer to the “cloud vs. dedicated server” debate is somewhere in the middle, or more specifically, some combination of cloud and dedicated server resources. According to RightScale research, 51 percent of organizations have a hybrid cloud strategy in 2018–defined as a cloud strategy which combines the use of public and private, or dedicated, cloud resources. A trusted vendor can listen carefully to help you understand your needs and requirements and optimize your budget from the perspective of risk mitigation, availability, ease-of-use, and other angles that matter. Depending on your use cases, you may benefit from a mixture of private cloud, public cloud, dedicated server, colocation workloads, or just one of these many approaches. The first step to optimizing your business data is picking the right vendor partnership. 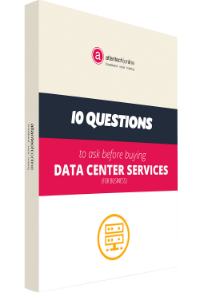 To learn how to select the right data partner, download the free eBook: 10 Questions To Ask Before You buy Data Center Services For Your Business.